"How to increase Patient visits"
Most Practitioners have x3 MORE Inactive patients vs. Active Patients. Do you too? Here's an extremely inexpensive way to reengage inactive patients... while pulling in existing patients more frequently. There is no charge through Dec 31 for weekly or monthly e-Nurturing. 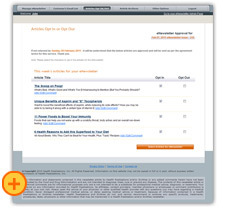 Your New Dynamic eNurture Marketing Articles Stream into Patients' Inboxes. eNurture also builds and adds patient traffic to your static website. No worries (if you have no current website or its not yet finished). No need to wait. Your eNurture broadcast web system also has a "Home Page" (you setup in minutes) plus an "About Us" page. No need to wait for update or new website... when that only loses more time on aging relationships that could be lost due to delays if you don't take 5 minutes of action now. Click on the screen captures below for a larger view. "A Must-Have" for Increasing Appointments - Growing Your Practice! 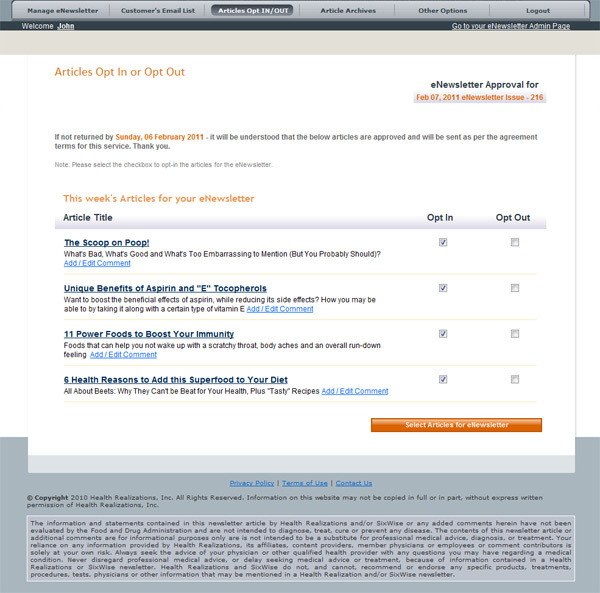 Original prewritten article content women seek and look forward to receiving from you. Tested and proven sought after, once they gradually realize health valuable information is contained that enriches their lives (with 1/4 or more are lifestyle articles proven to keep women engaged looking forward to the next email from you). Former CEO of mercola.com plus his proprietary formulas and highly trained team are now your team... at very affordable fees. Women Have Proven to be the Most Ferocious Readers of Health...And Nurturers! Women are gathers and nurturers (while men are hunters and seekers). Thereby know that even female Doctors educated by men have personal preferences and behavioral tendancies that are not the same as their female market. 10% - 30% More Appointments within 6 - 12 months with weekly campaigns (vs. monthly campaigns). Monthly takes as much or more than 400%-600% longer to build awareness recognition of your sent nurturing email articles than 4 weekly. Signup, upload your inactive and active patients email addresses, report your gains, then gain FREE 30 days service upon submission of each of your 6 month reports. Be "the first" to upload all your patient's email addresses and no other doctor will be able to upload and send same ones in their eNurture Marketing database. 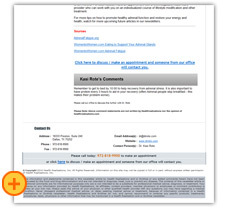 The system by design protects and does not allow duplicate uploaded patient email addresses. Articles are always a majority of diverse health and life style topics... diverse interest that engage and align with women's interests. NOT solely or even primarily focused on your services. Just as on the Dr. Oz show, only a fraction of the topics are ever on his heart surgery expertise. Otherwise women would be bored and unsubscribe. Topics are focused on women's interest while keeping you and your practice "top of mind... sought after ... looking forward to weekly." Do not misjudge weekly sent as being too often. 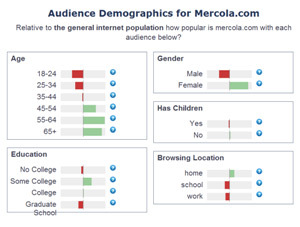 Dr. Oz is daily which followed in the footsteps of mercola.com because most women want information on health and life style topics they can use and share. Never written as "tell & sell" (as eMagazines by others usually are), so patients feel nurtured no one feels "told & sold"
Two or more out of 4 articles are always "life style" with sources so you are not expected to be the expert even on health topics. Women are typically responsible for finances, etc. in their households so we do provide topics including on taxes at tax time etc. that they benefit from such insights. .. which keeps them engaged and looking forward to your articles. 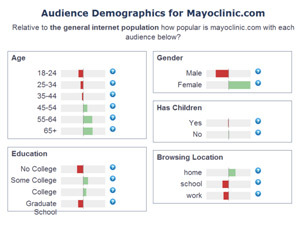 Most if not nearly all websites are static destinations that web marketers charge a lot to push patients to visit Doctors websites. Or that cost a lot to build only to be a destination vs. broadcasted regularly ideally weekly on the same day providing patient perceived valuable content in articles with your brand name on them. After his tenure as CEO of mercola.com, our CEO John Dearlove chose not to work in same capacity for Dr. Oz, or anyone of many Doctors and companies with even Billions of annual sales. John Dearlove and his former mercola.com team instead chose to build a more sophisticated system to support you and many other Doctors using his proprietary proven eNurture Marketing formulas. You get Dearlove's Unique Team: Researchers, Writers, Technology Software & Hardware Team Members enabling you the potential opportunity to exponentially grow your practice and your static website which is linked / sent for you. Ever wondered why your solicitations and offers often result in patients looking for deals, freebees, discounts, entitlement attitudes, who show up late if at all? Have you noticed that new patients referred by other patients are your best patients? eNurture Marketing is the best CONTINOUS medium for your existing patients o forward articles, introducing and referring you and your practice. No gimmicks! No giveaways! 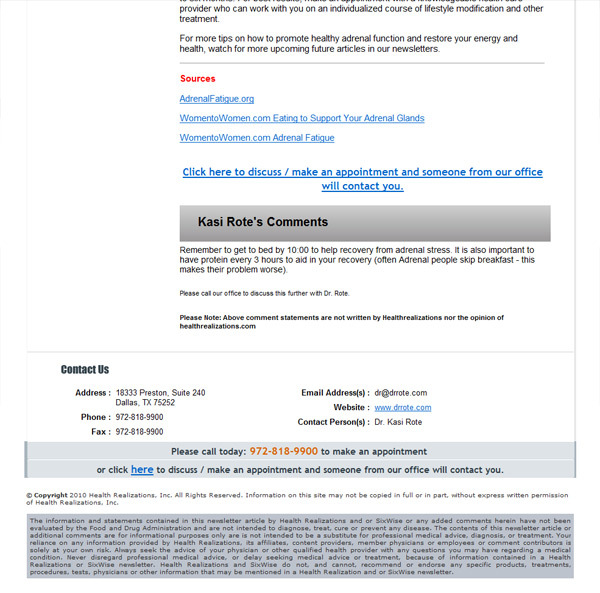 No solicitations that make your patients feel uncomfortable or pushed! All natural they simply nurture... it's their nature! Easiest continual stream of your patients nurturing new patients for you! Signup as a Monitoring Practitioner uploading and monitoring your "inactive patients email address" and get 30 days free upon submission of every "6th month" report.